Save 61% with a bundle deal! Digital Art Find out what it takes to enter the video games industry. Art Incorporate gravity and compression into your figure drawing. Art What it takes to design and build theme park attractions. Art Top tips for improving your pen and ink drawing skills. Art Expert tips, advice and step-by-step guides to help you master how to draw figures. Photoshop Develop a traditional look on digital canvas with the Mixer brush. Digital Art Use clean lines, layer modes, lighting and cloth patterns. Illustration Create a strong image with graphite powder and pencil. Digital Art Take a peek inside the new issue of ImagineFX magazine – out now! Art Learn how to create engaging art by honing your observation and empathy skills. Art These artists have all captured love from a different angle. 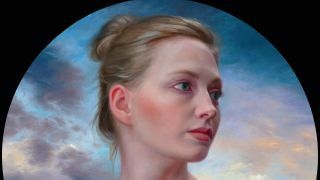 Digital Art Achieve a traditional oil paint aesthetic in Corel Painter.